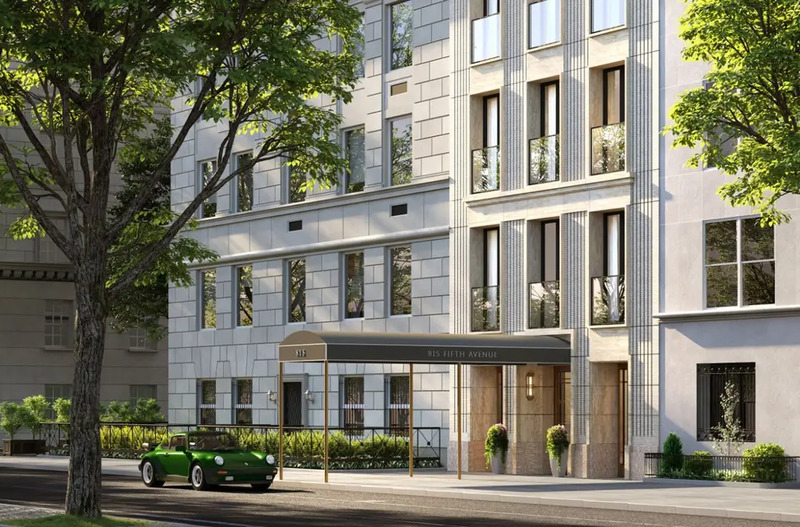 Overlooking Central Park, a rare ground-up project is coming together at 815 Fifth Avenue on the Gold Coast of the Upper East Side. Developed by the international Brazilian company JHSF Participacoes SA., the 14-floor venture will offer seven full-floor duplexes designed by Thierry W. Despont. Last year, the team gave us a taste of the park views to be had from the building. Now the facade is coming down to reveal the understated Indiana Limestone facade specified to harmonize with its prewar neighbors. 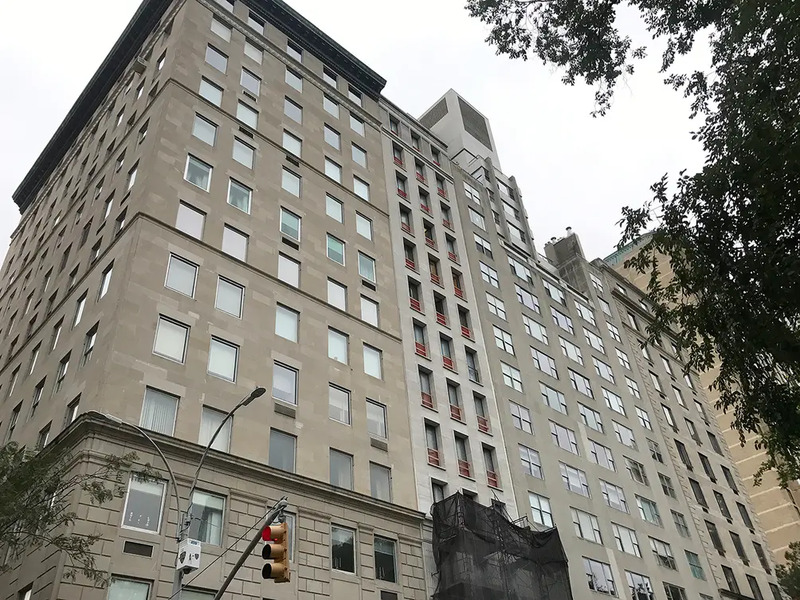 Situated between East 62nd and 63rd Streets, the project sits within the Upper East Side Historic District necessitating the design approval of the city's Landmark Preservation Commission to proceed. 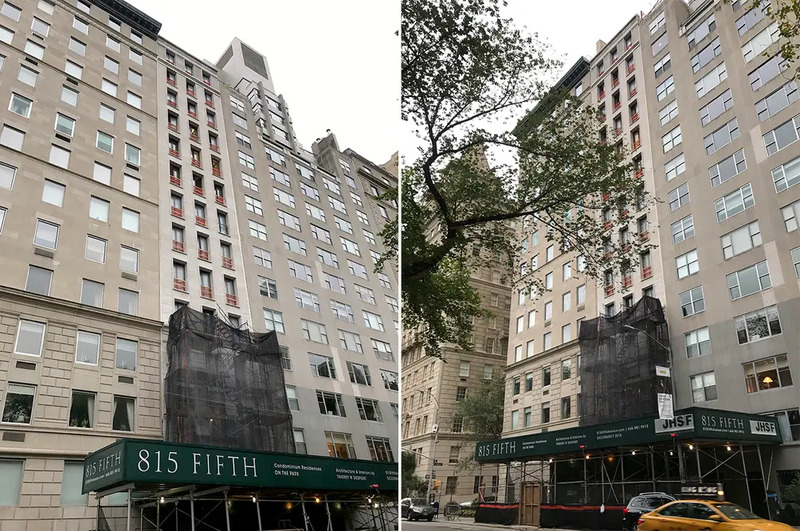 The project usurps a six-floor, 25-foot-wide townhouse finished five years after the Civil War — which made it the oldest home on Fifth between 59th and 110th Streets. Because the original Italianate-style exterior had been greatly altered, the body was receptive in letting JHSF replace the 140-year-old structure. The new building features a fluted limestone base with a uniform sets of deeply-inset windows. Cornices above the second, fourth and top floors further articulate the design and echo neighboring 817 Fifth Avenue. 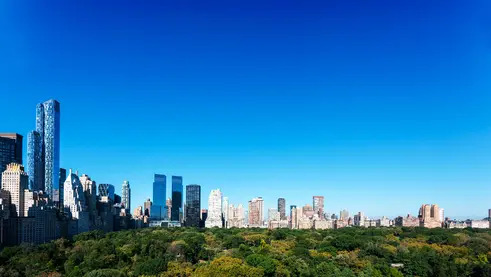 According to the project's website, "Each residence has been designed with extensive environments and an intelligent layout, showcasing one of the development’s hallmarks: breathtaking views of the Manhattan skyline and Central Park." An offering plan which shows that a $151,250,000 sellout is projected — translating to an average of $21.6 million a pop. Dominated by co-ops, the blocks of the Upper East Side between Fifth and Park Avenues are among the priciest in the city. According to our closing data, condos in the area sell above $2,000 per ft² on average. Our availabilities also show co-ops greatly outnumber condos listings in the area (58 condos vs. 256 co-ops). Next door at 812 Fifth Avenue, a full-floor four-bedroom home with planting terraces is listed for $13.9 million.